The Avengers--The Mightiest Heroes on Earth originally teamed up to battle a common foe and to deal with threats too great for any single superhero to deal with. This superhero team is the subject of a new movie slated to arrive in 2012. The Mightiest Heroes on Earth originally teamed up to battle a common foe and to deal with threats too great for any single superhero to deal with. 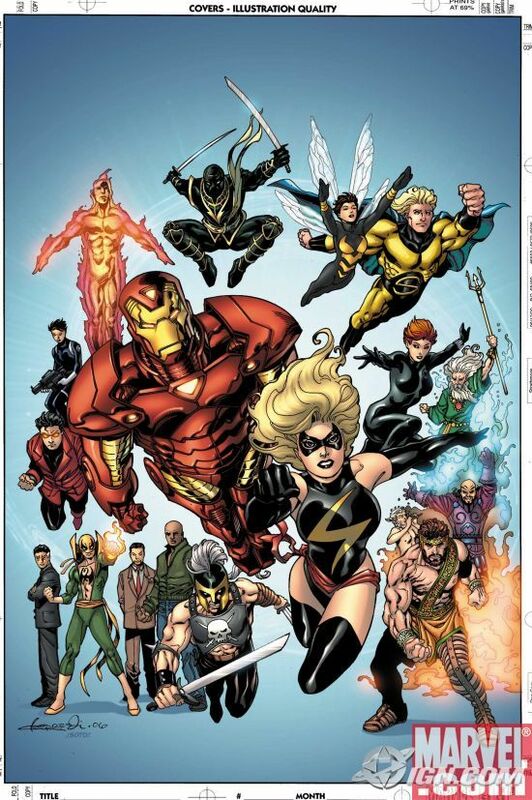 This superhero team is the subject of a new movie slated to arrive in 2012. The Avengers were formed by Ant-Man, Wasp, Thor, Iron Man, and The Hulk (Captain America did not join until issue #4, although he is considered an honorary founding member). The team's constantly changing roster has brought many of the Marvel Universe heroes onboard, although the Avenger's original goal remains consistent: the Avengers fight the foes no single superhero can withstand — thus their famous battle cry, "Avengers Assemble!" The team has included non-powered humans, mutants, androids, robots, gods, aliens, supernatural beings, and even former super-villains. 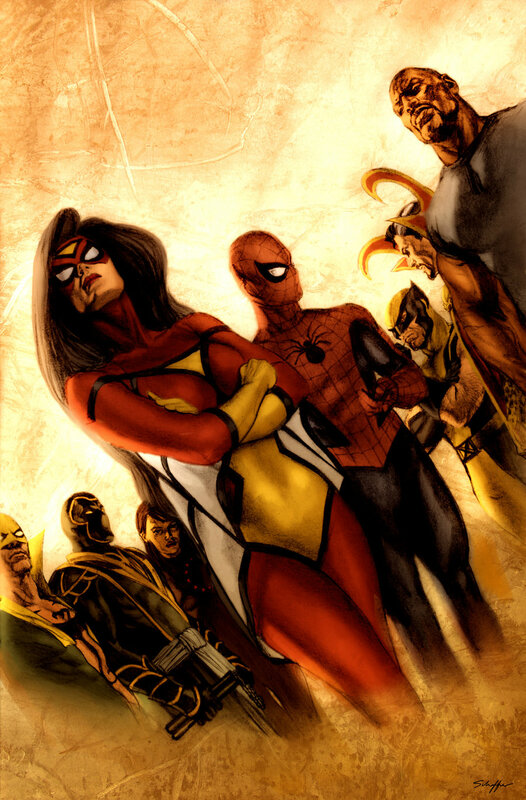 Avengers # 4, as re-imagined by Alex Ross. At one point, the Avengers split into two teams, with Iron Man leading a group based in California called The West Coast Avengers. 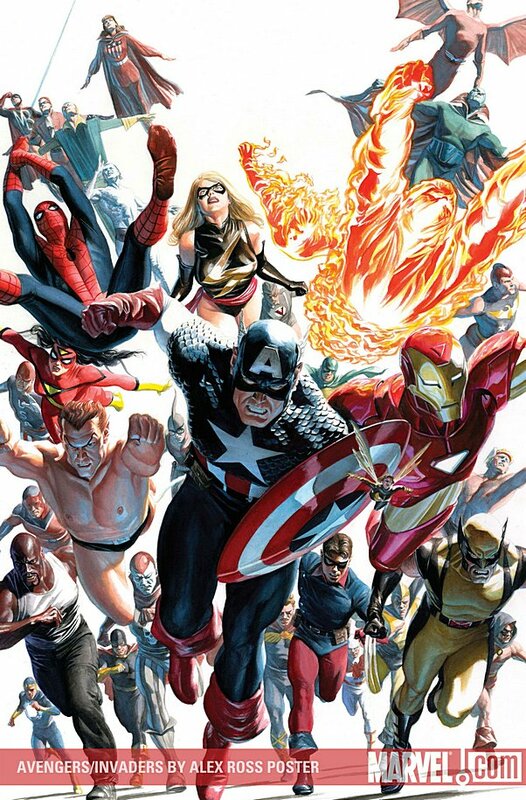 After the House of M disaster, and the destruction of Avengers Mansion, Iron Man and Captain America reformed the Avengers with mostly new members, including Spider-Man, Luke Cage, Ares, and The Sentry. This group became known as the New Avengers. The New Avengers also included Wolverine. The Avengers meet the World War Two superhero group, the Invaders, led by a younger Captain America. "Avengers" and all fictional characters mentioned on this page are the property of Marvel Enterprises. Join the FREE ComicsHistory Newsletter list. Receive regular updates delivered right to your inbox.